Any stock market drop is uncomfortable for investors. And corrections? Well, these can strike panic into the hearts of even the most steadfast stock owners. But, a market tumble of this magnitude doesn’t mean it’s time to run for the hills. Let’s talk about corrections and what they mean in the broader context of investing. As a refresher, a stock market correction is defined as a drop of 10% or more from a recent high. While these tumbles feel scary, they don’t always spell disaster. To the contrary, sometimes they’re not even a bad thing. I want to delve into six important factors regarding corrections. 1. No one can accurately predict what will cause a correction. While stock market corrections are unavoidable, they are not predictable. Market corrections can be caused by a host of issues, and they can rear their heads within any time frame – from a few months to several years. As an example, today we know that the prime factor behind the Great Recession was the implosion of subprime mortgages and bursting of the housing bubble. But think back, if you will, to 2006 and 2007. How many people did you hear preaching that subprime was a problem? The answer is very few. So, accurately predicting the cause of the next correction is not something we can do. It’s almost always a matter of hindsight being 20/20. 2. Stock market corrections happen pretty often. The investment firm Deutsche Bank has determined that the stock market has a correction, on average, every 357 days – or about once a year. We all know that the US economy has natural peaks and troughs over time. The stock market responds to those movements with its own highs and lows. Relatively new investors may be surprised to hear that corrections are not uncommon. That’s because there haven’t been many such events since the Great Recession. 3. Corrections typically don’t last long. As a general rule, this inevitable part of stock ownership lasts for a shorter duration than bull markets. Based on research conducted on the Dow between 1945 and 2013, John Prestbo at MarketWatch Prestbo determined the average correction clocked in at 13.3%, and lasted only about 14 calendar weeks, or 71.6 trading days, to be exact. 4. Stock market corrections are par for the course for long-term investors, but bad news for short-term traders. Please hear me on this point: Stock market corrections aren’t critical if you stay focused on the long term. When it comes to building a retirement nest egg, time in the market is better than timing the market. The only folks who should be worried when a correction rolls around are those who’ve built their trading strategy on chasing short-term gains. Keeping your eye on the long-term prize has historically been the smartest way to invest in stocks. It’s also a good recipe for peace of mind during tumbles. 5. Consider corrections as a better time to get high-quality stocks at a bargain. Trying to time a market bottom is a bad idea. But, a market correction could be a good time to add expensive, high-quality stocks to your portfolio. Think of a correction as a “sale” on stocks. Check the bargain bin. You might find some real investment bargains in there! 6. A correction is a good reminder to reassess your holdings and risk tolerance. As I noted, a dip in stocks isn’t necessarily a bad thing. In addition to allowing you to buy high-quality stocks at bargain prices, a correction also provides a reminder to make sure your allocation still makes sense, and your overall strategy remains solid. Take an accounting of your holdings by asking yourself if the reason you bought a particular stock is still valid today. Also ask yourself if your risk tolerance has changed at all (not in the moment because of the correction, but for the long game). If your answer is “yes,” then you don’t need to do anything. 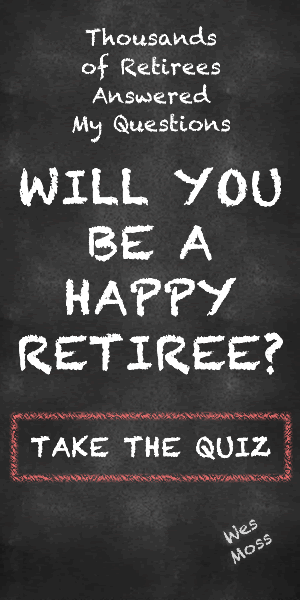 But if the answer is “no,” you may want to consider reallocation or revisiting your overall retirement planning strategy. Corrections will never be easy. And they will never go away. But hopefully, I’ve provided some context that will help you stay calm, cool and collected when the market seems anything but.